Search "Christmas" 32 results have been found. For the girl who likes her living on the edge served with a side of the afterlife, our Skull with Pink Ribbon charm offers the perfect contemporary aesthetic. 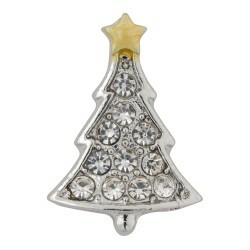 Whether alone in its wintery whimsy or combined with our other Christmas charms, this Holiday Ornament charm offers a classy and graceful nod to the most wonderful time of the year. 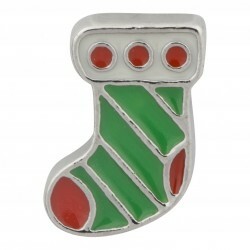 Stuffed with toys and gracing the fireplace, our Christmas Stocking charm will bring back those memories of early mornings, tip-toeing to see what Santa has brought. 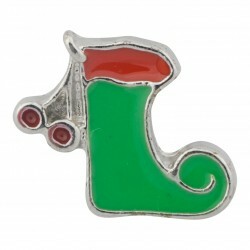 Here comes Dasher and Dancer, Prancer and Vixen, on necklace or bracelet or with other charms mixin’! 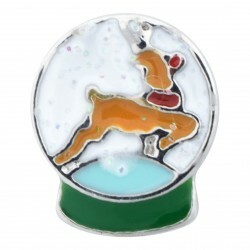 Let your heart soar with our Snow Globe charm, featuring a reindeer in flight. 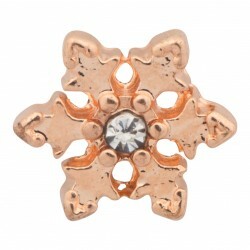 Stunning and unique, this Copper and Crystal Snowflake charm is the perfect cozy nod to those snowy winter days. 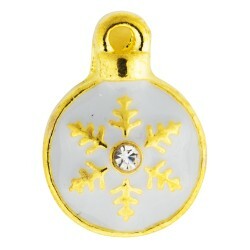 Whether used in a decoration around the house or tinkling at your wrist as part of a wintertime bracelet, our Holiday Bells charm ring in Christmastime in the best way. 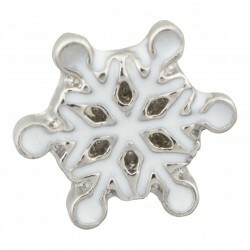 A simple reminder of all things snowy, our Snowflake charm is the perfect addition to a stocking or gift under the tree. 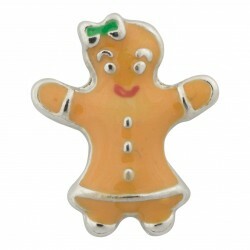 No, you can’t eat her, but our Gingerbread Man charm comes complete with tiny bow and silver accents. 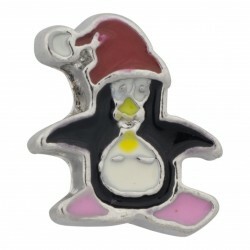 Penguins know the pure joy of slipping, sliding and sledding in the snow, and so can you with our whimsical Penguin with Christmas Hat charm! 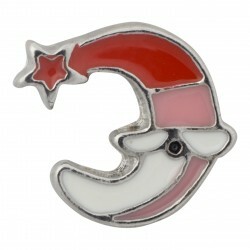 Bring a little cheer, topped with a Santa hat of course, with our Holiday Character charm. 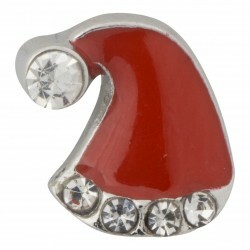 Hang a real wreath on your door and then our Christmas Wreath charm around your neck or wrist! 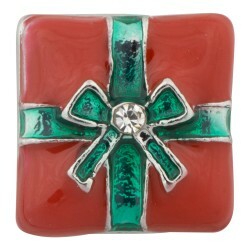 Wrapped in red and green and topped with a sparkling crystal, our Holiday Present charm is certain to bring smiles if found under the tree this year. Ho Ho Ho and Merry Christmas! 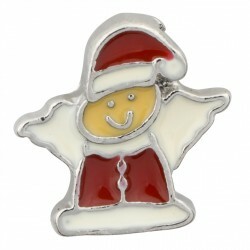 If our little Santa Claus Face charm could talk, no doubt he’d be singing carols and wishing holiday greetings with the best of them. 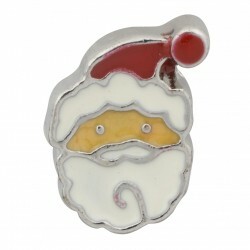 Complete with traditional snowy-white beard and twinkling eyes, our Santa Claus Face charm offers cheer to all! 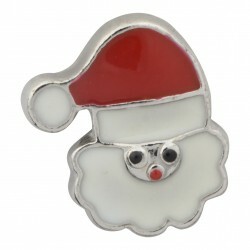 Humorous and whimsical, this Santa Claus Face charm showcases the slightly goofy and oh-so-fun side of Father Christmas. He’s got his sack full of toys on his back and his list of naughty and nice in his pocket! 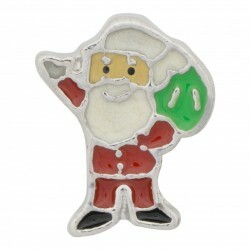 Award the nice in your life with this Santa Claus charm, tucked in a stocking or under a tree. 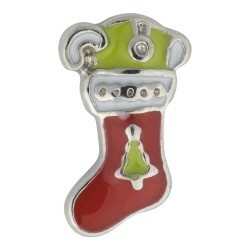 The perfect stocking to find in its own stocking, our Christmas Stocking charm is bright with holiday colors and style. 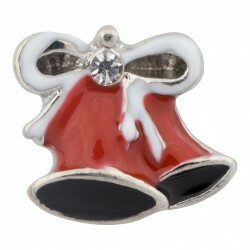 Elf-like and whimsical our Christmas Stocking charm bring a little holiday cheer to anyone who sees it! He appears to sleeping, perhaps after a long, hard night of hauling toys across the world. 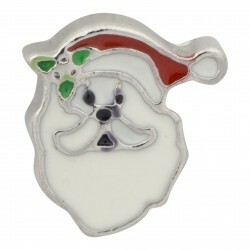 Let our Santa charm rest on a necklace or bracelet, standalone or with other charms! Traditional but upscale in sparkly shine, our Santa Hat with Crystals charm is a great gift to acknowledge that special gift-giver in your life. 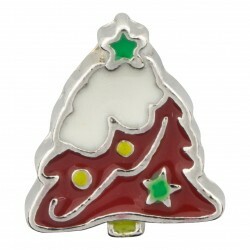 Unmistakably holiday-themed and topped with snow, this Christmas Tree charm should be found right where it begins… under the tree! 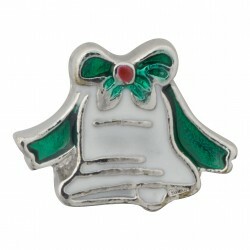 Simple and sweet and topped with a green bow and holly, this Holiday Bell will bring peals of joy. 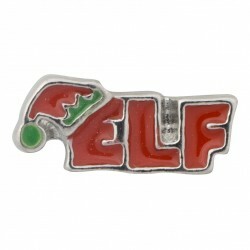 Vividly red with holiday cheer, this Elf Text charm is the perfect stocking stuffer for that little helpful elf in your life. 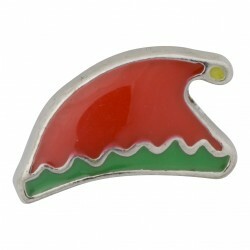 In the perfect Christmas colors of red, green and yellow, this little holiday hat is a great gift for your holiday helper, or as an addition to decorations!